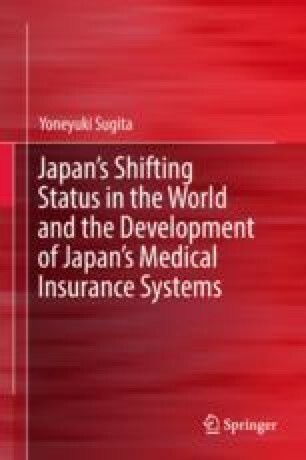 The transformation of Japan’s status in the world and the Japanese people’s concept of the state in the late 1930s and the early 1940s created an environment that brought a transformation of Japan’s medical insurance systems. The drastic change started with the establishment of the National Health Insurance and culminated in major amendments to the existing laws and the enactment of new laws, which were the harbinger of a new epoch in Japanese healthcare. This chapter explicates the significances of these 1942 reforms. These reforms were marked not only by demand-side but also by supply-side changes. This drastic change resulted in a system of quasi-public assistance, rather than “insurance” as such. The reforms to the medical insurance programs in Japan during this era heralded a new epoch. Outline of the Establishment of Population Policy. (1941, January 22). http://rnavi.ndl.go.jp/politics/entry/bib00302.php. Accessed May 5, 2018.